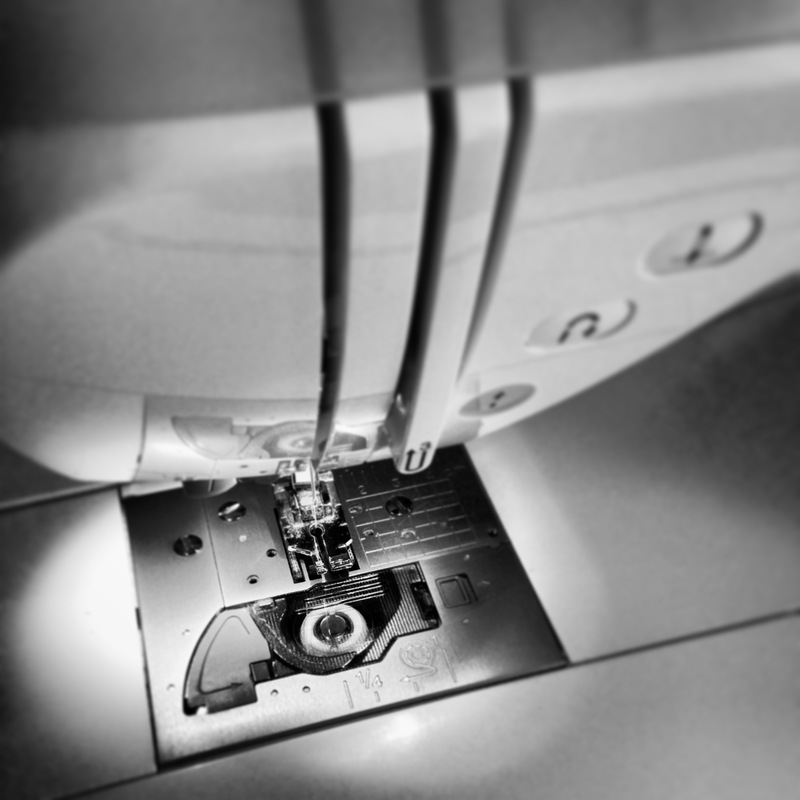 What is the best sewing machine to use when I’m quilting? How do I use a walking foot? Can I make a large quilt using my small sewing machine? What are the best types of threads to use for patchworking? How much money should I spend on a good sewing machine? So to answer these questions, I made a video where I sat down and went through all of the basics things there is to know about sewing machines! Well, for about six years I worked in a very well know craft/fabric store here in Australia called Spotlight. There, I worked in the fabric and haberdashery department where we also sold sewing machines! About twice a year, we would have intensive training days with sewing machine reps who taught us everything there is to know about sewing machines, inside and out. We learnt how to demonstrate and talk to customers about sewing machines, how to troubleshoot problems they were having as well as understanding what machine was best for a particular end use i.e. dressmaking, quilting, heavy duty sewing etc. So because of this, I feel confident in myself and in the knowledge I’ve learnt over the years to answer these questions for you. I am aware that I do not know everything and nor am I ever likely too! I myself, am still learning about the endless possibilities and all of the little intricacies that my sewing machine has to offer and I really love that! If you have any questions about anything I say in this video or are unsure of any features/functions on yours or are having any issues, please feel free to ask/comment below! I will try my very best to answer you as honestly and as simply as I can! Also, if you have any tips or nuggets of knowledge that you would like to share with me and others, please comment as well!! PS. If you would like to see a few fun little moments where I stutter, mumble, make weird faces and struggle with my words, then you can catch the Bloopers video right here! Previous PostTUTORIAL: Foundation Paper-Pieced Wonky Log Cabin Block Next PostTUTORIAL: The Hashtag Block!